GavinIn a nutshell, Kimberly has no any love affairs after her twice-divorced and currently, she is living happily with her son Ronan Anthony Villency in New York. Kimberly Guilfoyle is an American cable news personality. She is also known as one of the famous co-hosts of the show ‘The Five’ on Fox News Channel. She co-hosts the show along with Eric Bolling, Dana Perino, Greg Gutfeld, and Juan Williams. She has been married twice. 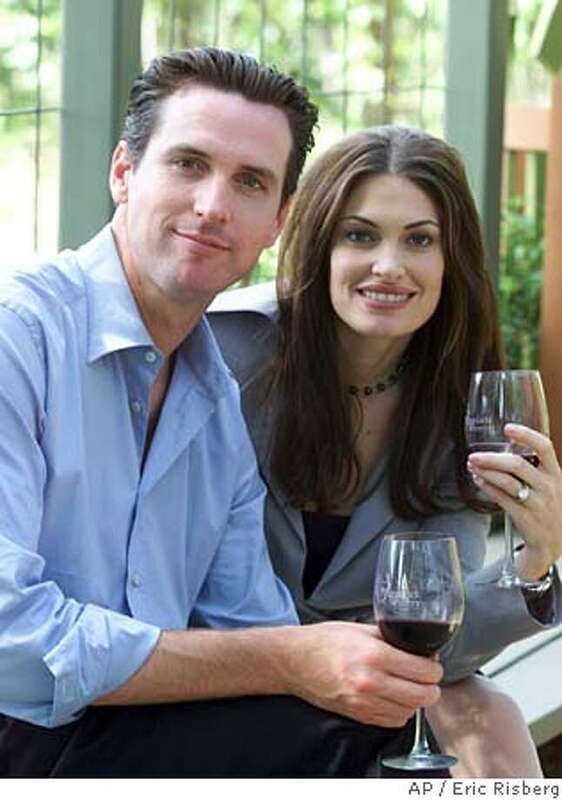 She first tied the knot to former San Francisco mayor Gavin Newsom but the couple got the divorce in 2006. The same year she again married with Eric Villency and after 4 years of married life, the duo decided to separate in 2009. Let’s find out more about her relationship in detail. Kimberly tied the knot to Gavin who is an American politician and was elected the 42nd mayor of San Francisco in December 2001. The couple got wedded at Saint Ignatius Catholic Church on the campus of the University of San Francisco. On December 9, 2003, he was elected as the mayor defeating his opponent Matt Gonzalez, conceded in San Francisco. Kimberly also joined with her then-husband at the time of his celebration. However, after four years of marriage, the pair filed a divorce in January 2005. As they informed the reason behind the separation was bi-coastal marriage. On February 2006, their divorce was finalized. Soon after the divorce (in the same year), she got married for a second time to Eric Villency, who is currently the CEO of Villency Design Group. On May 27, 2006, they tied the knot on the island of Barbados. The couple were blessed with a baby boy and named him Ronan Anthony Villency. After some years of marriage, they started having some problems and issues. Later, on June 23, 2009, she announced the news about their separation and was divorced eventually. She told the media, ”Even though we’re divorced, I am still very close with his family. Even when people don’t stay married, they can still be a family together”. It was rumored that, after her divorced, she has numbers of love affairs but, there was no any proof about that. She joined Fox News Channel in January 2006, as the host of the one-hour crime-based program, ‘The Lineup’. According to some reliable sources, “Guilfoyle serves as a legal analyst for the channel, appearing regularly on O’Reilly, Hannity, and other shows. She is also a host for FoxNews.com Live”. Likewise, she has also served as a legal analyst on Court TV, ABC News, and CNN. She was an assistant district attorney in San Francisco, before joining to television. Similarly, she is a proud author of a book called, "Making the Case: How to Be Your Best Advocate". Cosmopolitan said, “She also modeled for Victoria’s Secret. She has also hosted Fox News’ New Year’s Eve coverage”. She has occurred as a possible candidate to be press secretary in the Donald Trump administration. Presently, Kimberly is currently dating Donald Trump Jr. Trump Jr. and his ex-wife Vanessa Trump announced their separation in March 2018 after 13 years living together. The couple looked pretty cozy at the 2018 National Christmas Tree lighting ceremony. Looking at her Instagram posts with Trump Jr., it's clear that she's truly in love with the guy.